The Global Office Index tracks the rental performance of prime office space across 95 major markets in Asia Pacific, Europe, the Middle East and the Americas. Sydney recorded quarter-on-quarter rental growth between Q2 2015 and Q3 2015 of 3.9%, well above the average 0.5% growth experienced across the region. JLL's Head of Office Leasing - Australia, Tim O'Connor said, "Single-digit rental growth is generally forecast across the Asia Pacific region. 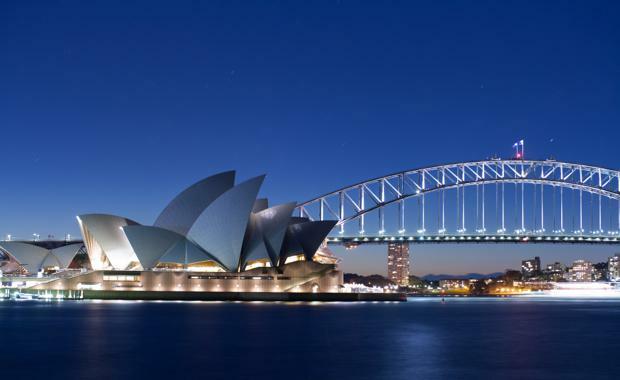 Among the major markets, Sydney and Hong Kong are likely to experience the strongest rental uplift by year-end 2015, while Sydney and Tokyo are anticipated to show the highest growth next year. "The Global Office Index found that Asia Pacific rents as a whole maintained their upward momentum in the third quarter. "Net effective rents rose in half of all markets across the region in the third quarter, but rental growth did slow modestly to 0.5% from 0.8% in the second quarter. "Domestic financial institutions and tech firms continued to be the main drivers of demand for prime space across the region. "Sydney stood out across the region for quarterly rental growth at +3.9%, followed by Hong Kong at +3.5%. The next strongest quarterly uplifts were Shanghai, Beijing and Bangalore. Several other markets recorded modest rises including Auckland, Mumbai, Chennai and Osaka. "The annual rental growth for Sydney from Q3 2014 to Q3 2015 was 8.2%, which is a strong result," Mr O'Connor said. The Global Office Index notes that corporate occupiers are in expansion mode in the majority of global commercial centres, with robust levels of global leasing activity. Rents on prime office assets across the 95 major markets covered by the JLL Global Office Index increased by 2.5% year-on-year in Q3 2015, with annual rental recorded in about two-thirds of all markets. Quarter-on-quarter rents rose by 1.0%, compared to 0.5% in Q2 2015. JLL sees momentum building in the global office leasing markets. Despite economic concerns, corporate occupiers are optimistic about business prospects and many are actively planning for growth. Unless the global economy is significantly derailed, there will continue to be progress towards expansion demand as tenants move away from cost containment, consolidation and renewals. Sustained global occupier demand and a development pipeline well below that of previous peaks will drive further rental increases and JLL predicts that prime rental growth will continue to accelerate to around 4% across the globe by year-end 2016.